ESSENTIS CEO Francesco Carlucci is quoted in a Sunday Times article on 1 June, 2014 which discusses the growing popularity of Puglia as a place for foreigner buyers to invest in property. 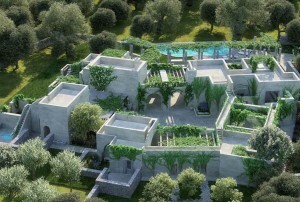 The article describes Carlucci as having “ cornered the market in new-build luxury masserie in Puglia,” and explains that he has now completed 25 properties since 2007. The article explains how a shortage of high-end rental properties means masserie such as the ones built by Essentis command high letting rates of up to Euro 19,000 a week. “A Euro 5m property in Tuscany typically makes less than 50% of the income of a Euro 2m property in Puglia,” Carlucci says. If you are interested in owning one of only four properties available in 2015/2016 then get in touch now.